The sweeping revision to the U.S. tax code known as the Tax Cuts and Jobs Act contains many provisions that present pitfalls and planning opportunities. One such provision limits the tax deduction on interest expense. This presents certain tax-planning considerations for taxpayers, especially those who do business relating to real estate. Under the revised code, the federal tax deduction for net business interest expense is limited to 30% of a taxpayer’s “adjusted income” at the entity level, with the excess carrying forward indefinitely. Adjusted income under this provision is business earnings before interest, and until tax years beginning in 2022, before depreciation and amortization as well. Net operating losses and the new 20% pass-through deduction are ignored when determining adjusted income. For example, in 2019 a taxpayer has $40 of taxable income, $30 of interest expense, and $10 of depreciation and amortization. Adjusted income is $80 ($40 + $30 + $10) and the limit on interest deduction is $24 ($80 * 30%). In this case, $6 ($30 - $24) carries forward to the subsequent year. This limitation is a detriment to taxpayers who finance a significant portion of their operations with debt, which is common when operating rental real estate. Furthermore, rental property debt is often refinanced in order to distribute cash representing the appreciation of the property’s value, usually to fund additional acquisitions. Since the debt doesn’t go away the excess interest may keep carrying forward, in effect permanently. Some businesses may have to consider changing their method of financing operations to shift from debt to equity counter the limitation. Fortunately, in certain situations taxpayers can avoid limiting their interest deduction. The $25 million test for the small business exemption is applied using somewhat complex aggregation rules. Receipts from entities with common ownership are grouped together for the test. If the group fails the $25 million test, the entities in that group will not be able to avoid the limitation this way. For example, two rental properties are owned in partnerships by two individuals, split 50/50. Each property has average gross receipts of $15 million, well below $25 million. But the receipts of these properties are combined for the small business test. In this case, $30 million is greater than $25 million, so both partnerships fail the test and are subject to the limitation. This provision is meant to counter the obvious strategy of splitting up existing businesses into smaller companies to avoid the limitation. Taxpayers who realize taxable losses and have more than 35% of their ownership comprised of limited investors may also fall into the “tax shelter” trap. Consider a rental property owned by a partnership of five individuals, each with a 20% interest. Three partners are actively engaged in the business; the other two are limited partners. If the property experiences a tax loss in a given year, it is considered a “tax shelter” in this context, since a ratable amount of the loss is allocated to the two limited partners whose ownership exceeds 35%. In this case, the small business exemption does not apply, regardless of the results of the $25 million test; therefore the interest deduction is subject to limitation. This “tax shelter” test is applied each year, which means that in profitable years, the limit may not apply, but in loss years it will. Consider buying out limited investor interest that exceeds 35% to avoid this trap. If a taxpayer does business in the real estate industry and elects to depreciate real property under the Alternative Depreciation System (ADS), that taxpayer will not be subject to the limitation. ADS provides for a slower recovery period than usual and doesn’t allow the instant cost recovery of bonus depreciation. If you are willing to decrease your annual depreciation deductions, you can get out of this limitation regardless of the other factors. The ADS election may seem an obvious choice, but benefit and cost must be weighed before making a decision. The election is irrevocable; long-term consequences must be considered. Also, an entity that may be subject to the 30% limitation might have enough adjusted income to absorb all interest expense, nullifying the benefit of the election. In addition, losing the benefit of bonus depreciation can be a significant drawback. All businesses need to understand the consequences of the new interest deduction limitation, but real estate businesses have an extra option to reduce their tax liability. Shifting debt to equity, buying out limited investors, and (for real estate businesses) making the ADS election are viable options to counterbalance the new limitation. Disclaimer: The content of this article is for informational purposes only, and does not constitute accounting or legal advice. Consult with a CPA regarding your particular circumstances. 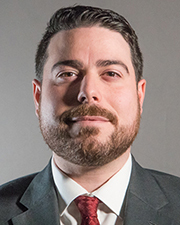 Evan Piccirillo, CPA, is a tax manager at Raich Ende Malter & Co. LLP, Melville, N.Y.